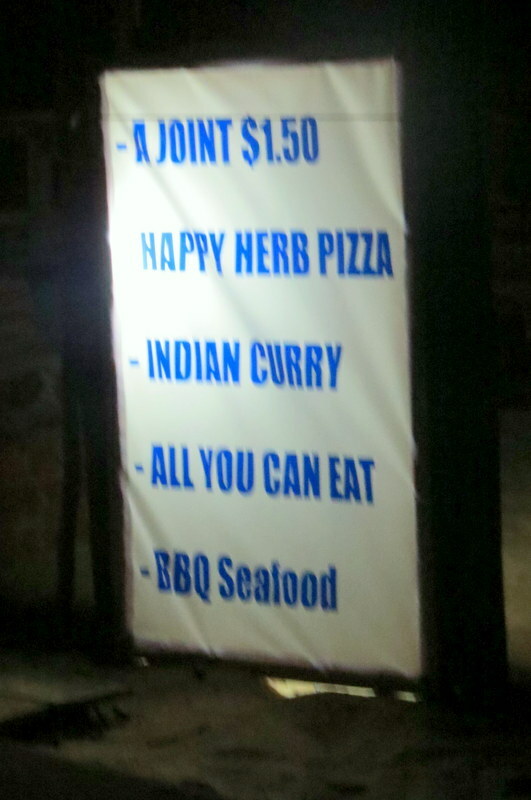 In Cambodia, “happy” is the slang word for high, so know what you are getting into before ordering a happy pizza in Cambodia. Marijuana use is traditional in Cambodia, but is usually used by the locals as a spice for soups and not as something to be smoked. It’s not legal, but the use of marijuana is not something that is enforced by police. In fact, Cambodia has been named as one of the top ten weed-friendly countries. The shops that sell happy pizza in Cambodia usually get away with bribing the police a few dollars, and that is the end of it. You can also get happy shakes, fruity shakes with marijuana blended in. Note, the happy pizza joints usually have happy in the name, so that you have an idea of what you are ordering. Many of the shops also offer free delivery. 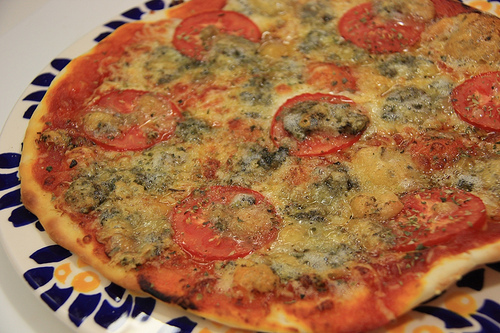 A happy pizza will usually cost somewhere between $6-10 US. And, while the consumption of happy pizza is usually overlooked by the police, it isn’t always, so if you visit these places, do so at your own risk. Most of the beach bars along Otres Beach serve happy pizzas. Many of them have signs that proclaim it, others mention it on the menu. Hospital Street is also lined with many other pizza shops selling happy pizza. Now that you know where to get happy pizza in Cambodia, make sure you watch Anthony Bourdain’s reaction to iton No Reservations. Crispy crust or crispy diner? I had no idea! Happy Pizza just looks like the normal cheese pizza. One of our pizza joints sticks on some oregano onto the top of their pizzas – would’ve thought it was the same thing if I hadn’t read this! Yeah, wouldn’t be good to order this and not know what you are eating. It’s so inexpensive, it would be an easy thing to do! You’re right about the looks of the pizza. It’s easy to be surprised that this normal looking meal contains such potent ingredients. This is WILD! While I was in Cambodia it seemed like so many drugs were being shoved in my face right in front of cops that I thought everything was a trap. I don’t dabble anyway, but I thought marijuana was a major offense. Now this is interesting! Well, as you saw they pretty much ignore it, but technically, it is an offense. I guess those pizza places are paying some hefty bribes! I have heard about ‘Happy’ pizzas from some hipsters that I know! However, I had no idea they exist in Cambodia. Thanks for such a detailed post that outlines marijuana related places in Cambodia. I will surely share this article with them. That’s what it means, really happy pizza:D And I’m already packing my bags!